Rates: €11 per person and €6 for children under 12. 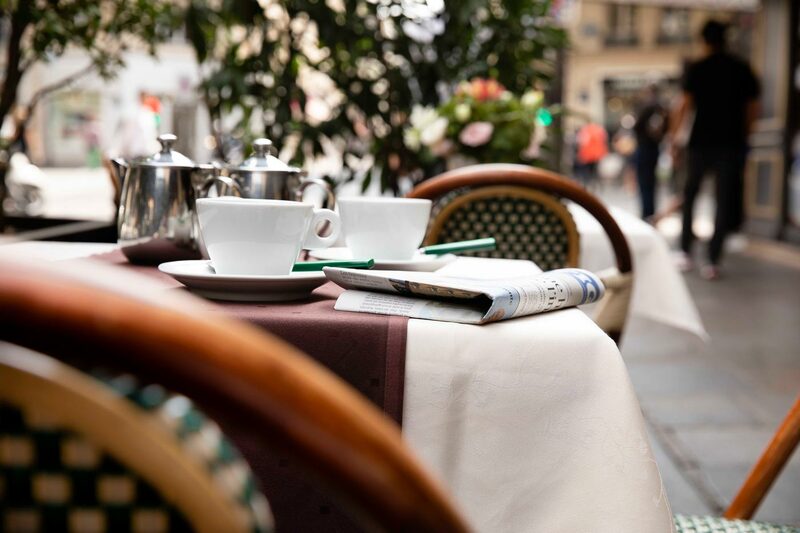 Because a stay in Paris should be a gourmet experience, between 7:30 and 10:30 am every day we offer you a Parisian breakfast to enjoy in the calm of your room, in the lovely lounge on the first floor or, weather permitting, on the terrace overlooking Rue de Seine. 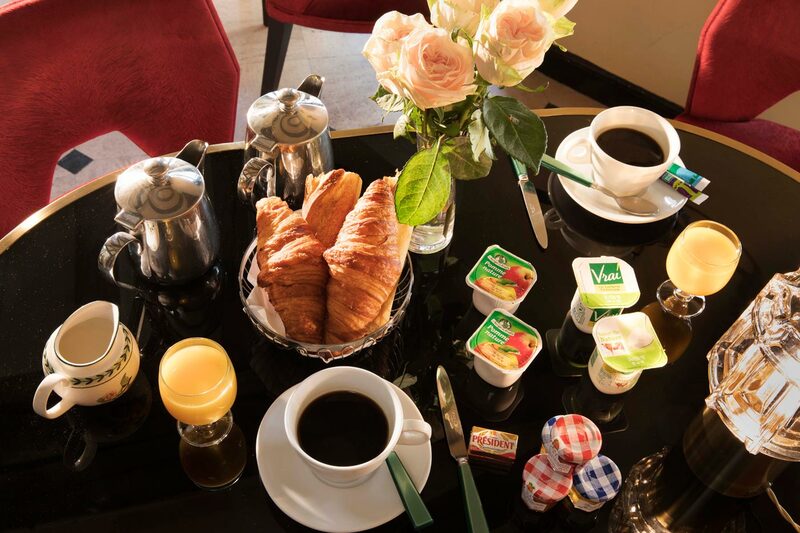 Breakfast comprises a hot drink (tea, coffee, chocolate), orange juice, baguettes and croissants delivered by the famous bakery Mulot, butter, jams, honey, yoghurt, fruit compote, cheese, etc. 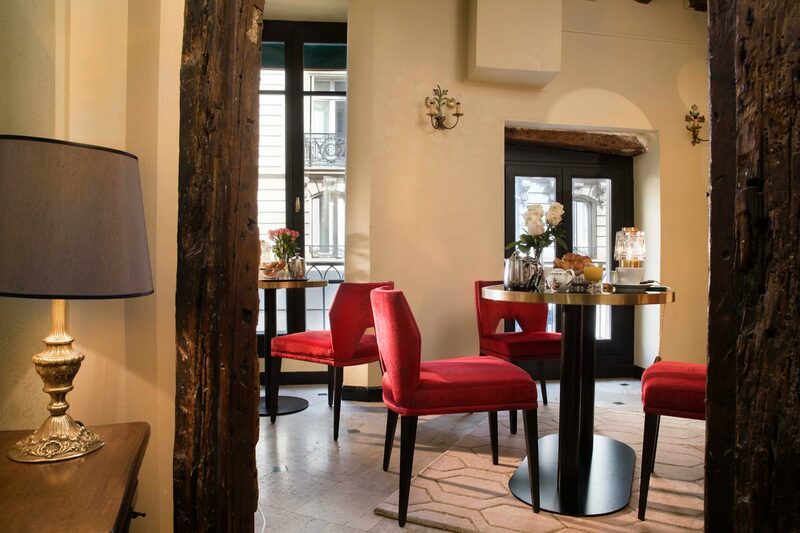 The Welcome Hotel is an old, typically Parisian building with atypical spaces that give it real charm. 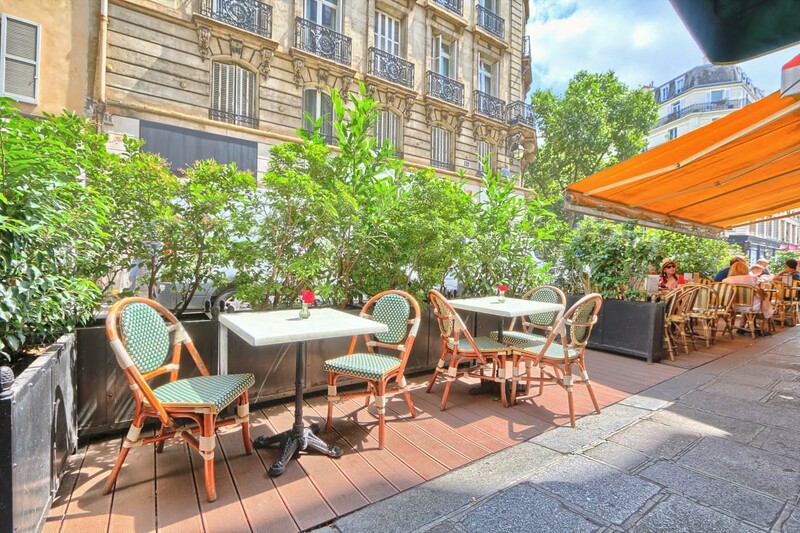 A few steps here and there, woodwork, nooks… The first-floor lounge is a very pleasant area with a view of lively Rue de Seine. The size of the room and the wooden beams create a beautiful intimacy that the armchairs invite you to share. 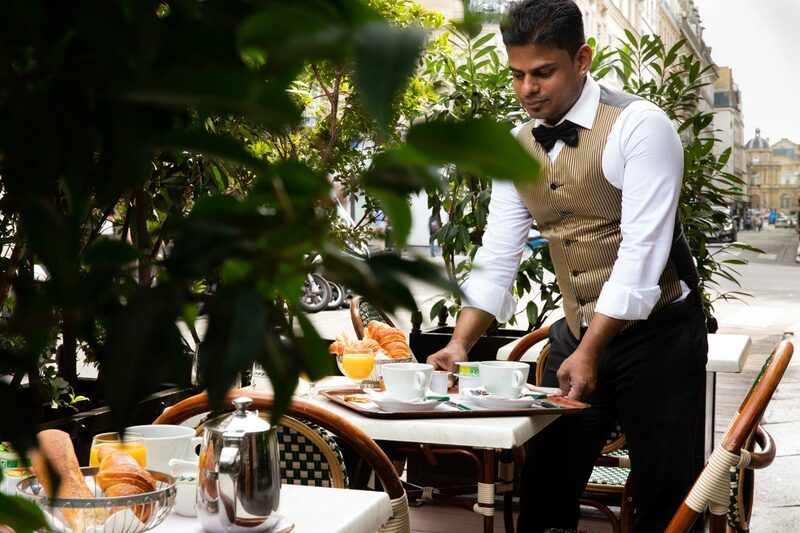 The establishment is delighted to offer to guests a few tables on the terrace. It is always pleasant to watch the Parisians and the smiles of the tourists as they come and go from a comfortable chair in the shelter of the shrubs, with a coffee or a glass of orange juice. 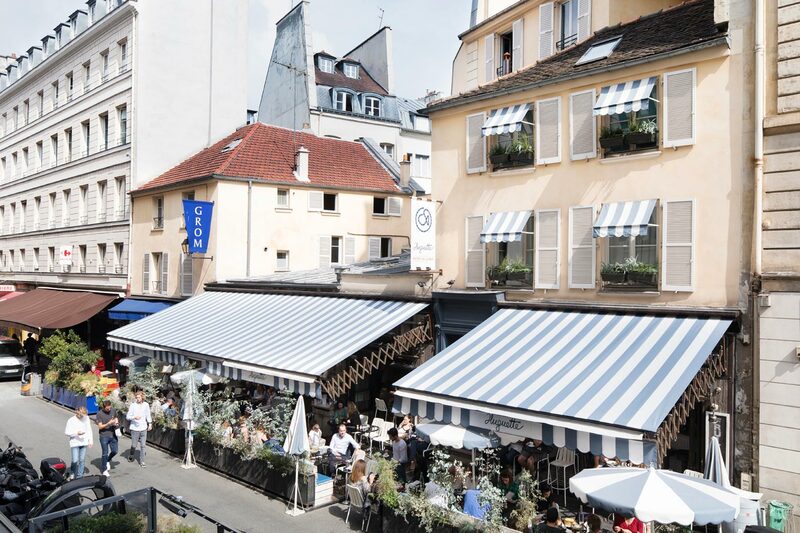 You will never tire of the spectacle of Rue de Seine with its merchants, shop windows and terraces. The Welcome Hotel is an entirely non-smoking establishment. Reception is open 24/24 and our staff is always delighted to listen to you and to assist you with the organisation of your stay. 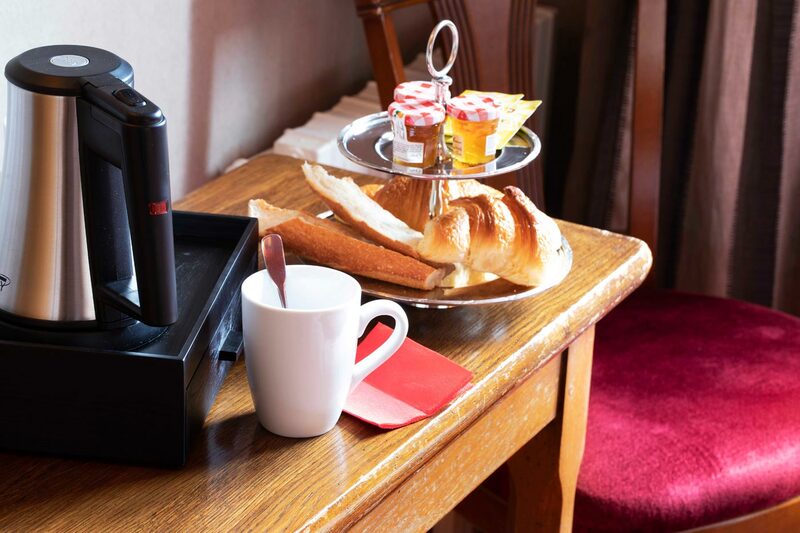 Fresh drinks and hot beverages are available at the hotel – please see Reception. Luggage storage is available on the first floor of the hotel. An iron is available on request. Please contact Reception.